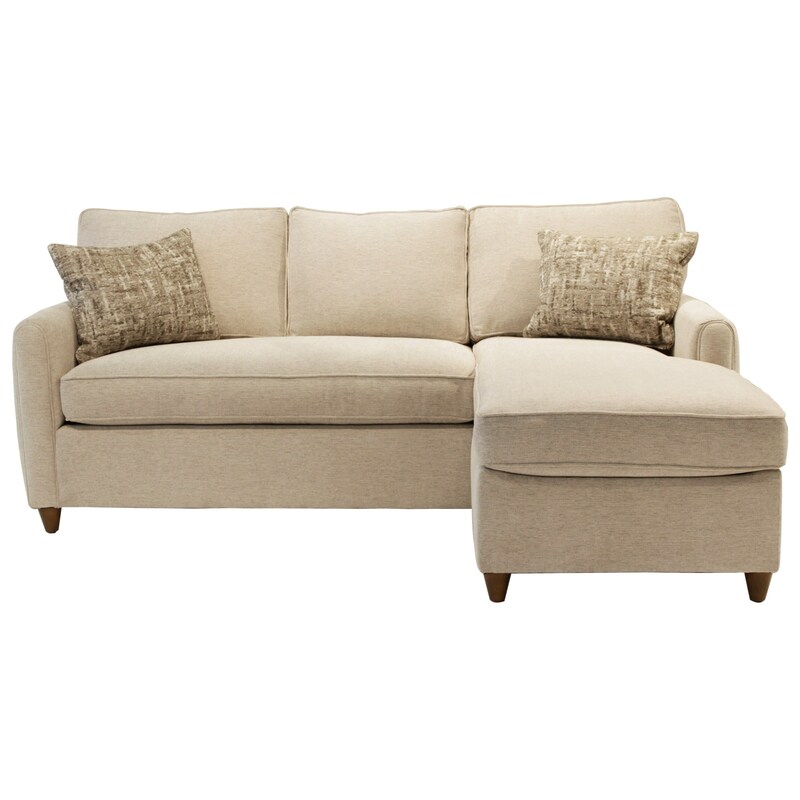 Give you and your family a casual and comfortable spot to relax with this sofa with a chaise. The chaise piece is great for lying back and lounging, while the two included kidney pillows can add some stylish flair. Furthermore, this piece is available in a wide variety of fabric options so you can choose the look you love best. The Emory Sofa with Chaise by Jonathan Louis at HomeWorld Furniture in the Hawaii, Oahu, Hilo, Kona, Maui area. Product availability may vary. Contact us for the most current availability on this product. Frame Construction Frame consists of variety of domestic wood species. Hardwood used in all stress areas. Stress joints are corner blocked, stapled and glued for added strength. Dacron polyester padding on all outside arms and back rails to prevent wear from contact from frame. Trim flex padding on front rail. Browse other items in the Emory collection from HomeWorld Furniture in the Hawaii, Oahu, Hilo, Kona, Maui area.